The current crisis in the care system, so well publicised in the media at present, can make the position look grim. Believe every story you read and you could easily be forgiven for never wanting to set foot in a care home ever again. But this would be to do the many skilled, and highly dedicated, people who work in the care industry a major injustice. ​Good quality residential care from a well-managed, specialist provider who has invested both time and money into developing personalised care models, based upon sound research and established good practice, can significantly improve the quality of life for both the patient and their family. Well designed residential care can tackle isolation and boost independence. Residential care homes that have been designed and decorated with the needs of older people in mind can provide a much safer and more stimulating environment than that of an individual’s own home. Accessibility aids (such as lifts to upper storeys, or adapted bathrooms) and specialist decorating techniques (such as strongly contrasting colours to make pathways clearer, or specific task lighting) can make both the building itself and the equipment within it more accessible, and offer new opportunities. Specialist residential care can provide stimulation, and enhance wellbeing. Well organised care homes will provide a whole range of activities, memory aids, and group therapies simply not available to an individual in their own home. 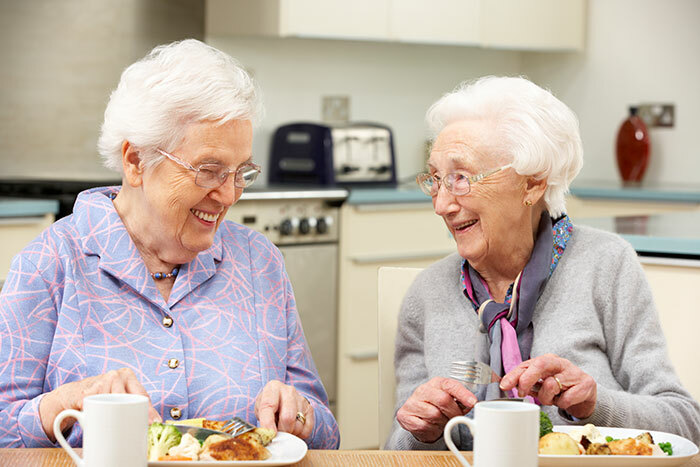 Removing the boredom and isolation faced by so many older people living alone, a lively care home environment can provide opportunities for stimulation and engagement to help people enjoy their days. And the benefits are not reserved for the older person alone. Relieved of the stress and strain of providing constant physical care, family members are once again free to enjoy quality time with their loved one, engaging with them in activities and reminiscence, and creating precious memories together. Good quality residential care is out there, so don’t despair! It’s a sad fact that the many care homes out there providing outstanding, compassionate care day in, day out, simply don’t attract the attention of the media. That’s a real shame. So don’t allow those shocking headlines of neglect or abuse put you off. Do your research, plan ahead, and you’ll hopefully find the perfect care home for you. Sycamore Lodge is a thriving care home on the outskirts of Scunthorpe providing high quality residential and nursing care, and rated Good at their latest CQC inspection. To find out more about the services they offer, contact them on 01724 410129 with any questions you may have, or take advantage of a free Taster Day to enjoy the atmosphere for yourself.